THIEN HOANG Import – Export Manufacture Co.,Ltd is an enterprise specializing in producing and processing black tea, green tea for export and domestic consumption of tea flavor. THIEN HOANG Tea products are exported to many countries around the world. With more than 30 products. Domestic consumption of tea flavor is sold in the official agency of the companies in the country. 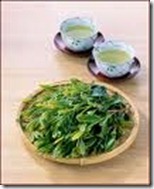 Emperor tea products by customers, consumers and the popular vote is Vietnam high quality goods for many years. With the Vietnam enterprises preparing to enter the entrance of competition and integration has not stopped development. Emperor has focused on upgrading the factory with modern equipment. Expanding cooperation with research institutes, the scientific research center dosage of commercial products only by modern technology, to keep the products are pure natural flavor.